The Army Corps of Engineers is expected to grant the controversial $3.8 billion Dakota Access Pipeline its final easement to cross the Missouri River within "days," the office of Senator John Hoeven (R-North Dakota) has said. Army spokesman Maj. Gen. Malcolm Frost said on Wednesday the Army had begun its inquiry. "These initial steps do not mean the easement has been approved," General Frost said, according to AP. 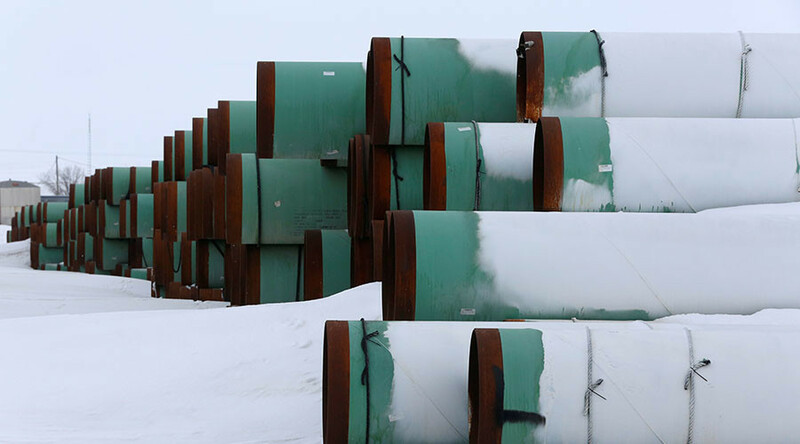 Two North Dakota senators said late Tuesday they had been told by Army officials the pipeline would be completed, according to Reuters. The Standing Rock Sioux, whose reservation lies near the pipeline’s route, argued the project poses a threat to water and tribal artifacts. Their many months long opposition to the project attracted the support of thousands of protesters from around the country to North Dakota, leading to clashes with police and more than 625 arrests. On Tuesday, Standing Rock Sioux’s Chairman Dave Archambault renewed the call to return to court to challenge any granting of the easement in court. "If it does become a done deal in the next few days, we'll take it to the judicial system," Archambault said according to AP. He added: "This is a good indicator of what this country is going to be up against in the next four years. So America has to brace itself." Under the Obama administration, the Standing Rock Sioux’s opposition to the project led to Army Corps on December 4 to decline an easement and added and environmental study was needed. Two days before Obama left the White House, the Corps launched an environmental impact study (EIS) that could take up to two years to complete. On January 24, just four days after he took office, Trump signed an executive action authorizing the Corps to reconsider the December 4 decision. On Tuesday, the tribe said that Hoeven was “prematurely championing Trump directives to grant an easement for illegal construction,” and the Army Corps lacked the statutory authority to stop the EIS. “The Corps must review the Presidential Memorandum, notify Congress, and actually grant the easement. We have not received formal notice that the EIS has been suspended or withdrawn,” said the Standing Rock Sioux Tribe in a statement.